No word about those maniacal plans at the UN. I wonder why!! These Mulahs are a world problem, in fact madmen. Only one way to deal with them. A topIranian general has said Iran will annihilate Israel, boasted that Iran couldeasily defeat Saudi Arabia, and threatened to overrun American military basesin the Middle East. Brig.Gen. 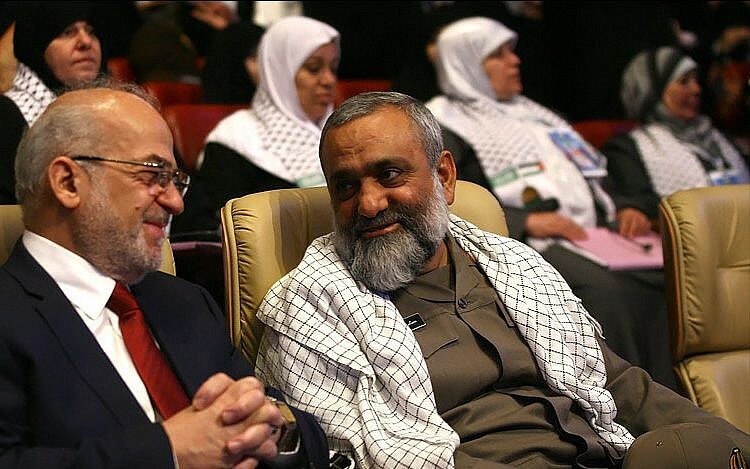 Mohammad Reza Naqdi, the Islamic Revolutionary Guard Corps (IRGC) DeputyCommander for Cultural and Social Affairs, said in a December 28 interview withthe Iraqi television network Al-Nujaba that the “Islamic revolution in Iranwill not back down” from the goal of “wiping out” the Jewish state. Theinterview was translated Wednesday by the Middle East Media Research Institute. Iranianleaders routinely call for the destruction of Israel, and the Iranian regimearms and funds terrorist groups that seek Israel’s destruction such asHezbollah and Islamic Jihad, but it is less common for regime figures todirectly declare that Iran will wipe out the Jewish state. OnWednesday, Iranian Supreme Leader Ayatollah Ali Khamenei said Americansanctions are putting pressure on Iran and its people. In anunusually forceful speech from the holy city of Qom, Khamenei also mocked Americanleaders, as top US diplomat Mike Pompeo made a tour of the region. USPresident Donald Trump pulled out of an international agreement on Iran’snuclear program in May and in November reimposed sanctions on Tehran. Iran hasignored Western calls to curb its military development and has pushed aheadwith repeated ballistic missile tests. The Iranian military recently announcedits intention to deploy warships to the western Atlantic off the US coast as acounter to the American military presence in international waters off Iran. Punishingsanctions against Iran over its nuclear program had been curbed as part of a2015 nuclear deal, but were largely re-imposed by the US last year, underTrump, who has taken a hard line toward Iran. Trump haslabeled the agreement forged under his predecessor Barack Obama as “defective”and unable to rein in Iranian behavior or halt the Islamic Republic’s quest todevelop nuclear weapons. Khamenei’sremarks to Qom residents were meant to mark the anniversary of religious riotsin 1978 that challenged Shah Mohammad Reza Pahlavi. They would spiral into thenationwide demonstration that saw the shah leave Iran and give rise to the 1979Islamic Revolution. Iranians will commemorate the revolution’s 40th anniversaryin February.